Iran’s pursuit of chemical weapons will be a primary focus of American diplomacy in the coming term, President Barack Obama notified the United Nations General Assembly Tuesday. “Just 25% of Likely U.S. Voters think it is at least somewhat likely that Iran will slow or stop its nuclear program in the next year in exchange for the lifting of international sanctions. Sixty-six percent (66%) consider this unlikely. This includes four percent (4%) who say Iran is Very Likely to slow or stop its nuclear efforts in exchange for the lifting of sanctions and 23% who think it is Not At All Likely,” according to a Rasmussen Report released Tuesday. 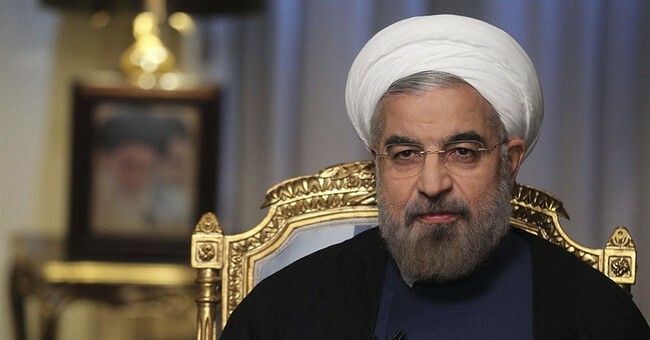 Rouhani told Americans they are “very near and dear to the hearts of the Iranian people,” during an interview with CNN's Christiane Amanpour Tuesday.